Tried and tested by BuzzFeed readers — water you waiting for? We asked members of the BuzzFeed Community to tell us their favorite products and hacks for staying hydrated—read on to see their tips and tricks, they'll be extra helpful during these hot summer months. 1. Throw it back to college with (water) shots. 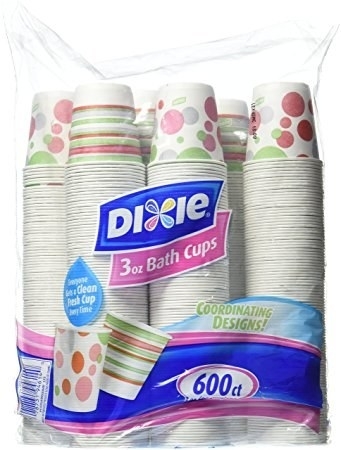 Get a pack of 600 from Amazon for $14.28. 2. Invest in a bottle that's truly a whole lotta bang for your buck. The Hydro Flask is loved by numerous BuzzFeed readers. It keeps ice-cold drinks, ice cold. Get it from Amazon for $29.90+ (available in 16 colors). 3. Opt for a drink mix like Crystal Light when you get bored with water. You can whip up delicious lemonade/iced tea drinks while staying hydrated. Get a pack of four from Amazon for $22.95. Also, try this assortment of 44 on-the-go packets from Amazon for $6.99. 4. Unleash your inner kid with a crazy straw. You loved 'em when you were little, and chances are you love 'em now, too. If you have kids, they're guaranteed to like these, also. Get a pack of 50 from Amazon for $11.99. 5. 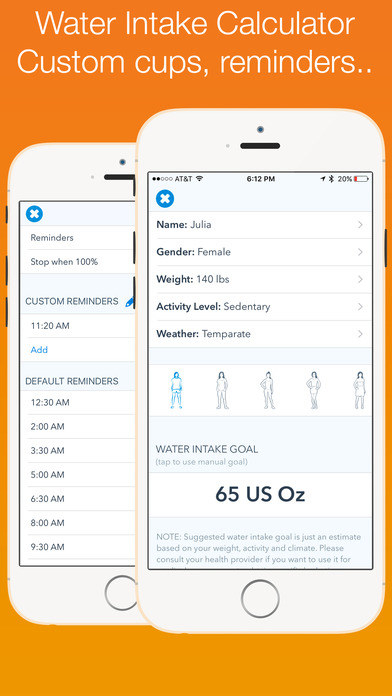 Use an app like WaterMinder to set personal water goals and keep track of how much you're consuming. Download it from iTunes for $2.99 or Google Play for free. 6. If you're a new mama, use baby's feeding time to take care of yourself, too! 7. Make a game out of it with your favorite water bottle and some rubber bands. 8. If plain water isn't your thing and making your own fruit-flavored water doesn't fit into your busy schedule, try out these yummy water drinks. They're super refreshing and come in flavors like strawberry kiwi and watermelon. Get a 12-pack of 16 oz. bottles from Amazon for $18.99. 9. Stay extra cool with a Sip 'N Mist water bottle. It's a great way to be both hydrated and chilled on the hottest of days. Get it from Amazon for $11.18+ (available in three colors). 10. Drink water whenever you check your phone — if you're someone who checks their phone a lot, and we know you are, you'll have consumed plenty of water in no time. 11. 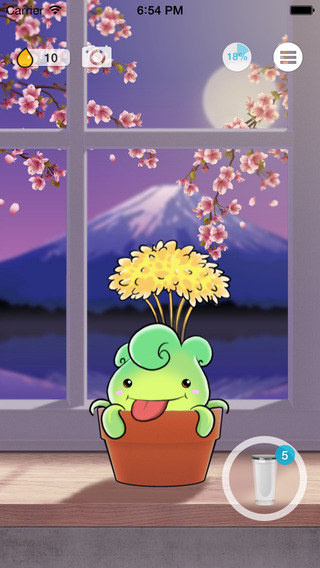 Try out the Plant Nanny app. 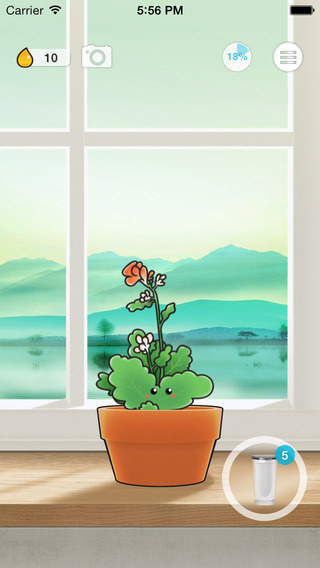 It lets you grow your very own plants and gardens — but in order to do so, you gotta get your daily water intake in and track it. 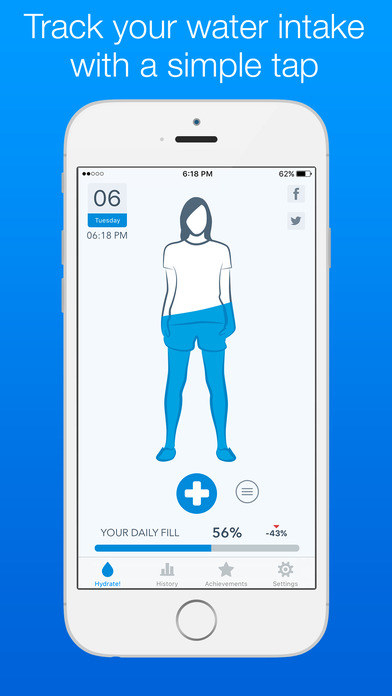 "This app has changed my LIFE. It determines how much water you need to drink every day, based on weight and activity level, and then it waters a virtual plant when you log the water you drink. If you don't drink water, your plant dies. The app sends you notifications if you haven't logged in two hours. GAME CHANGER." 12. Use a water infuser (like the one inside this cool bottle) to try different combinations of fruit and other flavor enhancers for a fresh, tasty drink. Get it from Amazon for $18.95+ (available in three colors). 13. Trick your mind, and your friends, into thinking you're drinking a fancy schmancy beverage from Dunkin' or Starbucks by saving the cups and filling them with your own fruit-infused concoctions. 14. Get hydrated and re-fueled at the same time by drinking coconut water — it's available in a variety of flavors, so you're bound to find one you like. Get a 12-pack of 11.1 oz. boxes from Amazon for $21.14 (available in 10 flavors). 15. Get yourself a SodaStream and make sparkling water instantly when just plain water isn't cutting it. Get it from Amazon for $84.95+ (available in three colors).